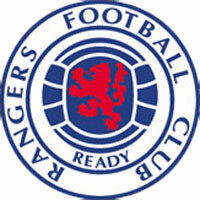 Rangers Football Club (the Gers) are one of the two Old Firm football teams in Glasgow. Glasgow Rangers play in the south-west of Glasgow, in the 50,411 seater Ibrox stadium. Together with their fierce rivals Glasgow Celtic, Rangers have dominated Scottish football for much of the period since they were founded in 1873. Rangers FC has close historical connections with the people of Northern Ireland and the Protestant community. Rangers hold the world record for the number of domestic league championships.